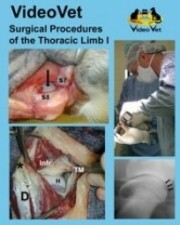 This DVD is a ‘must have’ for the veterinary practice that performs surgery of any sort on the pelvic limb. It covers in great detail how you can safely, effectively and simply perform epidural analgesia for pelvic limb surgery. More specific to the hip, high quality video footage teaches you how to expertly perform the femoral head & neck ostectomy including both the standard cranio-dorsal approach and the new ventral approach. 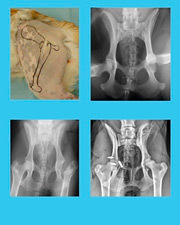 Never struggle again getting the exposure that you need to perform a complete excision of the femoral neck! If you’ve been impressed with what you’ve heard about the patient response to the new ventral FHNO, but are afraid of the regional anatomy…this resource is for you! This DVD will also walk you through surgical treatment of traumatic hip luxation via open reduction and stabilization using a toggle suture (prosthetic round ligament) and capsulorrhaphy. You and your colleagues will benefit from nearly 1.5 hours of surgical video!